In Nevada, 54% of jobs require a post-secondary degree and only 30% of residents qualify. Post-secondary attainment is the proportion of adults with college degrees (associates, bachelors, graduate, professional). It can also include high quality certifications and industry-recognized credentials required for employment. In order to build the skilled and knowledgeable workforce necessary to compete in a global and technology-focused economy, Southern Nevada will need to increase its levels of post-secondary attainment. WHAT ARE THE EDUCATIONAL DISPARITIES IN CLARK COUNTY? Clark County falls behind the national average in adult educational attainment in terms of adults with some college or higher. 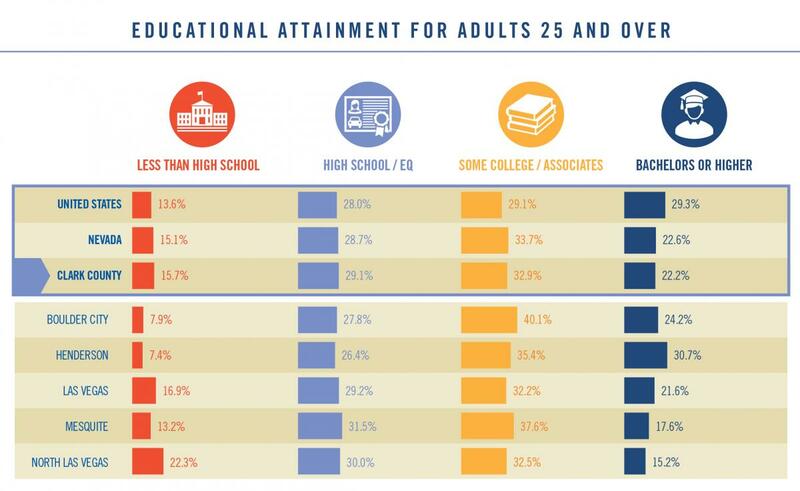 32.9% of adults have completed some college or have an associates degree and 22.2% have obtained a bachelor’s degree or higher. The United States rates are 29.1% and 29.3%, respectively. In addition, only 4% of adults aged 24 to 64 held a quality credential outside of a degree in 2014. HOW CAN WE COLLABORATE FOR IMPROVED EDUCATIONAL ATTAINMENT RATES? 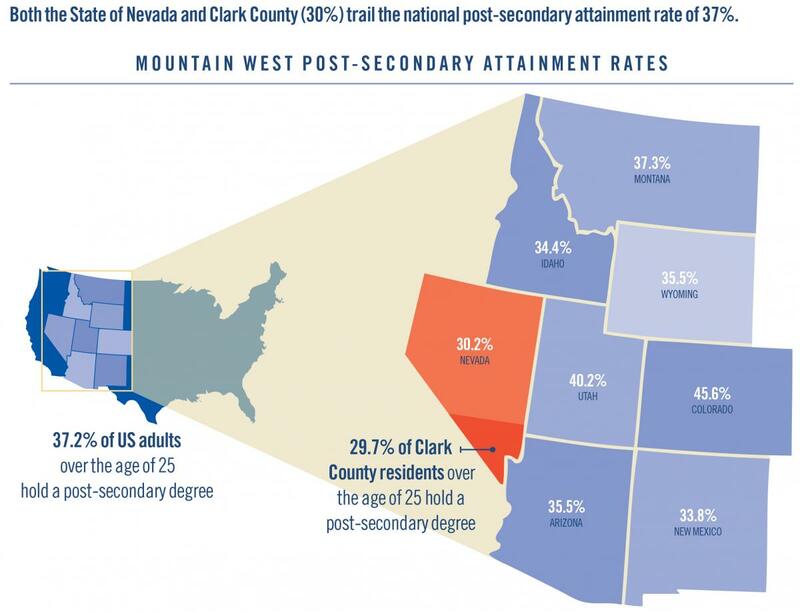 Increasing post-secondary attainment in Clark County and across Nevada is essential for the future of Southern Nevada’s families and communities. Both locally and across the United States, programs are working to improve FAFSA completion rates and ensure timely completion of college coursework in an effort to strengthen the pathway from high school to career development. 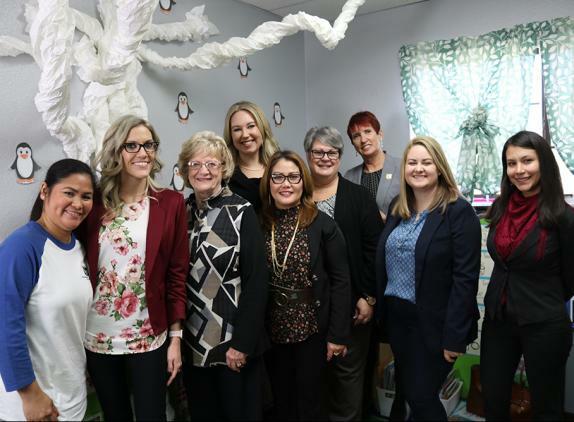 Outlined in the report are programs to increase educational attainment rates from University of Nevada, Las Vegas; Clark County School District; College of Southern Nevada; 15 to Finish; GEAR UP and United Way of Southern Nevada. Find out more about how Southern Nevada cities measure up and how we can impact post-secondary education attainment.